70% of Crystal Palace’s matches had under 2.5 goals in Premier League. Manchester City have won their last 5 home matches in Premier League. 70% of Chelsea’s matches had over 2.5 goals scored in Premier League. Southampton have failed to win in their last 6 matches in Premier League. Manchester City have won 80% of their matches in Premier League. 36% of Southampton’s conceded goals occurred after the 75th minute in Premier League. Chelsea have been undefeated in their last 10 matches in Premier League. Manchester City have been undefeated in their last 10 matches in Premier League. Crystal Palace have scored 43% of their goals after the 75th minute in Premier League. Manchester City did not concede any goal in their last 6 matches in Premier League. 83% of Southampton’s goals have been scored in the second half in Premier League. Chelsea have scored the opening goal in 80% of their matches in Premier League. 67% of Manchester City’s conceded goals occured in the first half in Premier League. Manchester City have scored the opening goal in 80% of their matches in Premier League. Southampton have failed to score in their last 5 matches in Premier League. Chelsea were leading at halftime in 60% of their matches in Premier League. Manchester City were leading at halftime in 70% of their matches in Premier League. Chelsea have scored 42% of their goals after the 75th minute in Premier League. 85% of Crystal Palace’s conceded goals occured in the second half in Premier League. Manchester City have scored 2 goals or more in each of their last 5 home matches in Premier League. Chelsea have scored 2 goals or more in each of their last 3 matches in Premier League. 38% of Crystal Palace’s conceded goals occurred after the 75th minute in Premier League. Frosinone have failed to win in their last 5 home matches in Serie A. 75% of SPAL’s goals have been scored in the second half in Serie A.
Chievo have failed to win in their last 10 matches in Serie A. 70% of Frosinone’s matches had over 2.5 goals scored in Serie A.
Chievo conceded at least 1 goal in each of their last 7 matches in Serie A. 88% of Chievo’s goals have been scored in the second half in Serie A.
Chievo have conceded the opening goal in 90% of their matches in Serie A.
Chievo were losing at halftime in 60% of their matches in Serie A.
Frosinone have conceded 2 goals or more in each of their last 4 home matches in Serie A.
Chievo have failed to win in their last 5 home matches in Serie A.
Frosinone have lost 70% of their matches in Serie A.
Chievo have lost their last 3 home matches in Serie A.
Frosinone have scored 2 goals or more in each of their last 3 matches in Serie A.
Chievo have lost their last 6 matches in Serie A.
Huesca have failed to win in their last 9 matches in La Liga. 90% of Getafe’s matches had under 2.5 goals in La Liga. FC Sevilla have scored 2 goals or more in each of their last 6 matches in La Liga. 100% of Real Betis’s goals have been scored in the second half in La Liga. Huesca conceded at least 1 goal in each of their last 10 matches in La Liga. Real Sociedad have scored 33% of their goals in the first 15 minutes in La Liga. 70% of FC Sevilla’s matches had over 2.5 goals scored in La Liga. 77% of Huesca’s conceded goals were conceded away in La Liga. Huesca have conceded the opening goal in 80% of their matches in La Liga. 54% of FC Sevilla’s conceded goals occurred after the 75th minute in La Liga. 80% of Real Betis’s matches had under 2.5 goals in La Liga. Huesca were losing at halftime in 60% of their matches in La Liga. Getafe have been undefeated in their last 4 away matches in La Liga. FC Sevilla have scored 2 goals or more in each of their last 3 away matches in La Liga. Huesca have lost 70% of their matches in La Liga. 31% of FC Sevilla’s conceded goals occurred in the first 15 minutes in La Liga. Real Betis have scored 40% of their goals after the 75th minute in La Liga. 78% of Moenchengladb.’s matches had over 2.5 goals scored in Bundesliga. 67% of FSV Mainz’s matches had under 2.5 goals in Bundesliga. 83% of Moenchengladb.’s conceded goals were conceded away in Bundesliga. Düsseldorf have scored 33% of their goals after the 75th minute in Bundesliga. FSV Mainz have failed to win in their last 6 matches in Bundesliga. Moenchengladb. have scored the opening goal in 78% of their matches in Bundesliga. 67% of Düsseldorf’s matches had over 2.5 goals scored in Bundesliga. 76% of Düsseldorf’s conceded goals occured in the second half in Bundesliga. Düsseldorf have lost 67% of their matches in Bundesliga. 80% of FSV Mainz’s goals have been scored in the second half in Bundesliga. FSV Mainz have scored 60% of their goals after the 75th minute in Bundesliga. Werder Bremen have scored in each of their last 9 matches in Bundesliga. Moenchengladb. have scored 2 goals or more in each of their last 4 home matches in Bundesliga. Düsseldorf have lost their last 5 matches in Bundesliga. Werder Bremen were leading at halftime in 67% of their matches in Bundesliga. Moenchengladb. have won their last 4 home matches in Bundesliga. Düsseldorf have failed to win in their last 6 matches in Bundesliga. Nantes have conceded the opening goal in 73% of their matches in Ligue 1. Guingamp did not concede any goal in their last 3 away matches in Ligue 1. 73% of Marseille’s matches had over 2.5 goals scored in Ligue 1. 79% of Saint-Etienne’s conceded goals were conceded away in Ligue 1. 27% of Angers’s conceded goals occurred in the first 15 minutes in Ligue 1. Montpellier have scored in each of their last 8 matches in Ligue 1. Montpellier have scored the opening goal in 82% of their matches in Ligue 1. Marseille have scored 32% of their goals after the 75th minute in Ligue 1. 33% of Angers’s conceded goals occurred after the 75th minute in Ligue 1. Montpellier have been undefeated in their last 10 matches in Ligue 1. 77% of Wigan Athletic’s conceded goals were conceded away in Championship. Leeds Utd have scored in 100% of their away matches in Championship. Wigan Athletic have scored 61% of their goals in the first half in Championship. Leeds Utd have scored in each of their last 9 matches in Championship. 85% of Wigan Athletic’s points have been earned at home in Championship. Leeds Utd have scored in each of their last 7 away matches in Championship. 33% of Leeds Utd’s conceded goals occurred in the first 15 minutes in Championship. 67% of IFK Goteborg’s matches had over 2.5 goals scored in Allsvenskan. AIK Stockholm did not concede any goal in their last 3 away matches in Allsvenskan. GIF Sundsvall have scored 38% of their goals after the 75th minute in Allsvenskan. Malmoe FF have been undefeated in their last 9 home matches in Allsvenskan. IFK Goteborg conceded at least 1 goal in 79% of their home matches in Allsvenskan. IFK Goteborg conceded at least 1 goal in 92% of their away matches in Allsvenskan. AIK Stockholm have scored in each of their last 14 home matches in Allsvenskan. 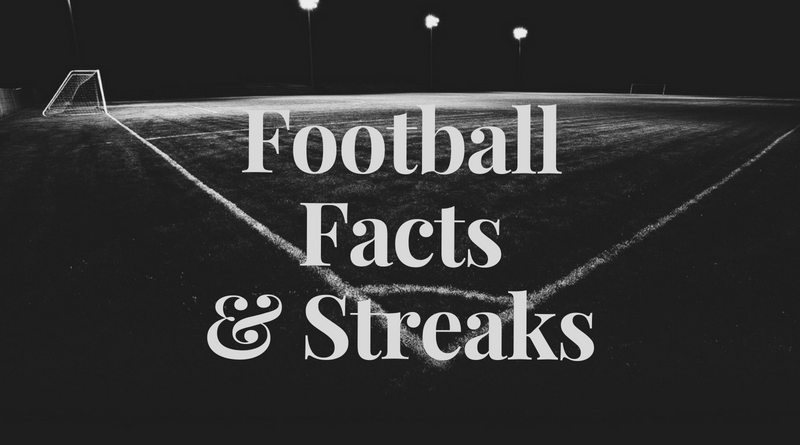 GIF Sundsvall have scored in 71% of their away matches in Allsvenskan. IFK Goteborg have scored in 77% of their away matches in Allsvenskan. Malmoe FF have scored in each of their last 9 away matches in Allsvenskan. AIK Stockholm have been undefeated in their last 6 matches in Allsvenskan. 78% of AIK Stockholm’s matches had under 2.5 goals in Allsvenskan. AIK Stockholm have scored in 77% of their away matches in Allsvenskan. AIK Stockholm have been undefeated in their last 14 home matches in Allsvenskan. IFK Goteborg have conceded 2 goals or more in each of their last 4 home matches in Allsvenskan. Malmoe FF have scored in 92% of their home matches in Allsvenskan. IFK Goteborg conceded at least 1 goal in each of their last 6 home matches in Allsvenskan. Malmoe FF have scored in 79% of their away matches in Allsvenskan.